Staatliche Kunstsammlungen Dresden– The home of the gown now. Der Mitteldeutsche Rundfunk– very high resolution images in gallery. 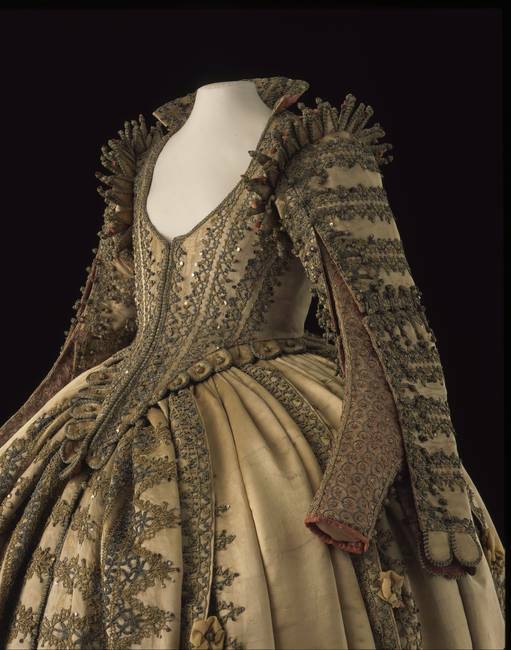 This gown is in remarkable condition, extremely remarkable condition. 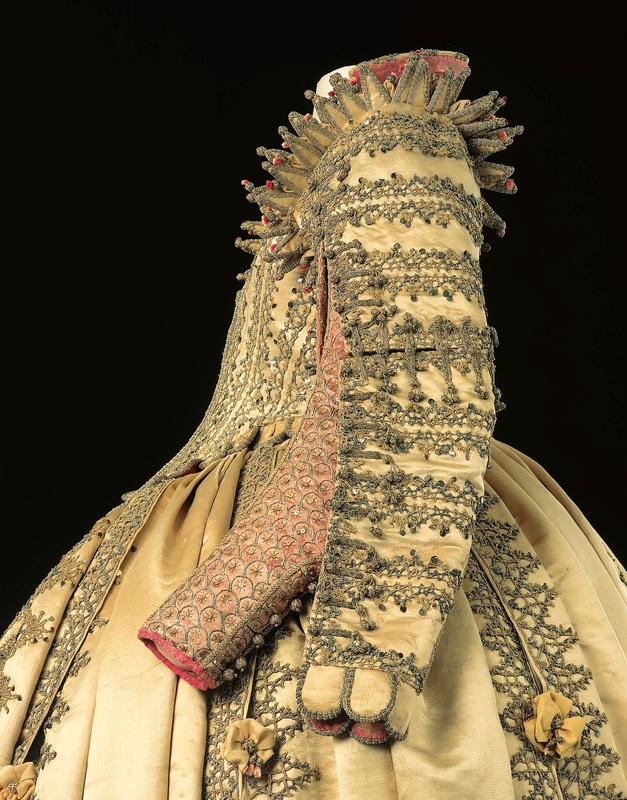 The slashes in the skirt have been faced with the same fabric which allows them to remain very firmly closed. The jubon clearly has some fine tailoring with pad/stay stitching in the upper back and shoulders- this can be seen through the neckline. 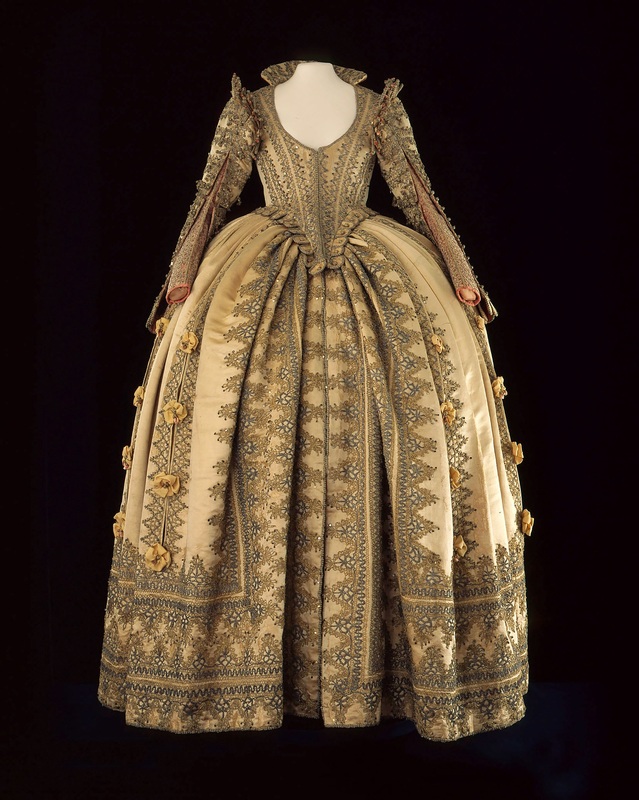 The gown is on display for a few more months at the time of writing. Previous Previous post: Why did I cut my ribbon? ?